Milestones are frequently used to monitor progress. Milestones allow to determin much more accurately, whether or not the project is on schedule. 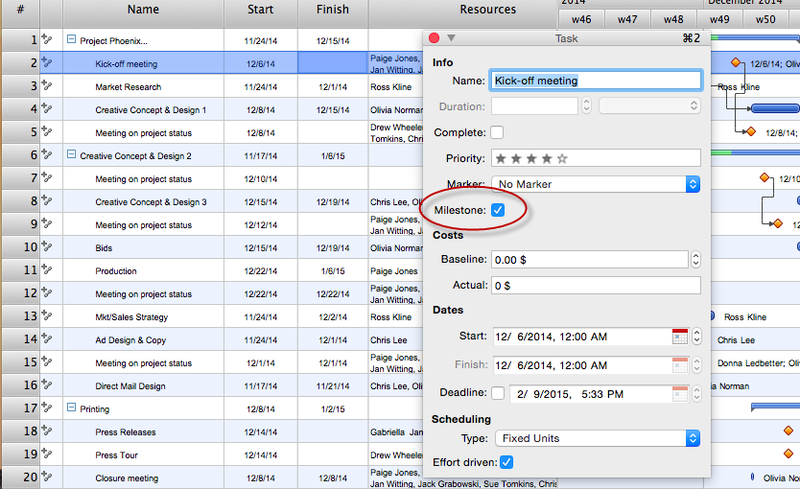 In ConceptDraw PROJECT you can easily turn any task from a project schedule into a milestone. Define selected task as a milestone by checking the Milestone item. Result: Now you can follow the project performance, tracking the milestones, and analyzing the plan-vs-actual results.